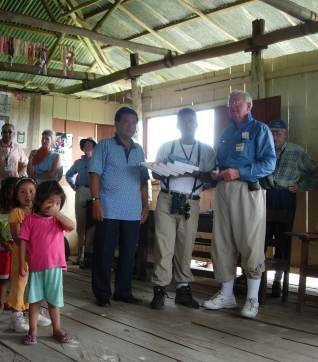 In 2005 Professor Ron Lyon took a group a friends to the Amazon and delivered test books to a small village along the route. Donations from many travelers on that cruise will go to fund further text books that will be delivered on future trips. 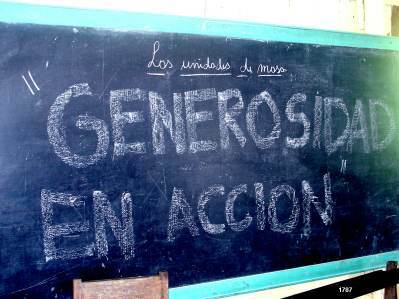 Currently Generosity in Action is working with Interenational Expeditions to handle future test book deliveries. Return to pictures of supplies being delivered previous trips.